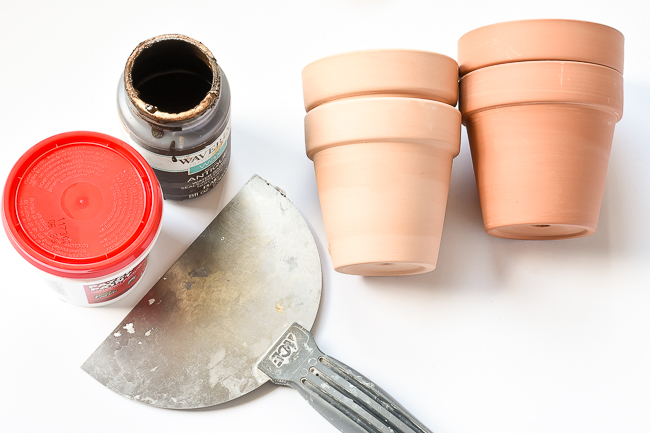 A quick and easy way to add texture and "age" to terra cotta clay pots. 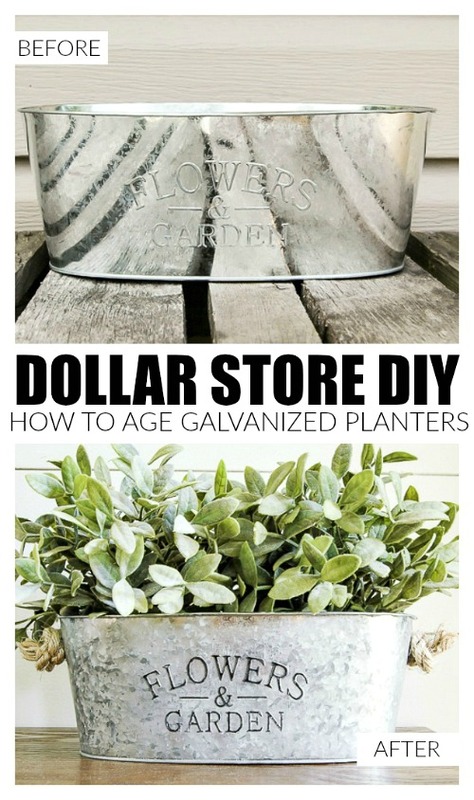 Since Dollar Tree now has their spring and garden decor available I thought it would be a good time to share a quick way to age basic terra cotta clay pots. 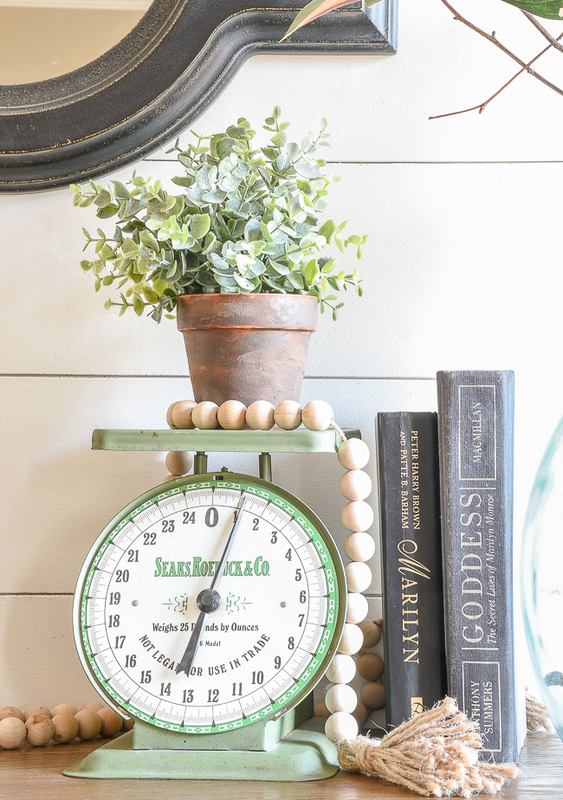 These little rustic pots are perfect for spring, but they also make great everyday decor. Affiliate links have been included. 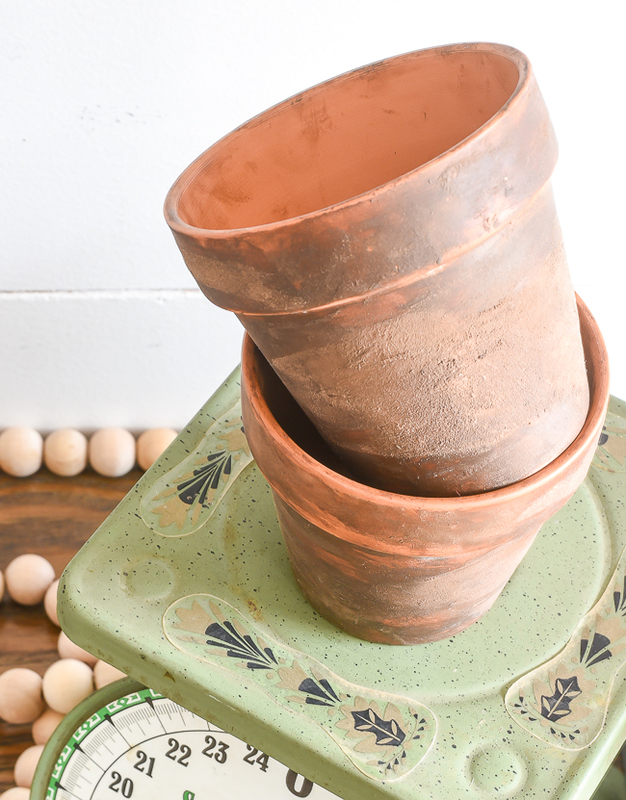 Dollar Tree has a couple different size and colors of Terra Cotta pots. I grabbed both the light and dark medium size pots, but I definetely preferred the look of the darker ones. 1. 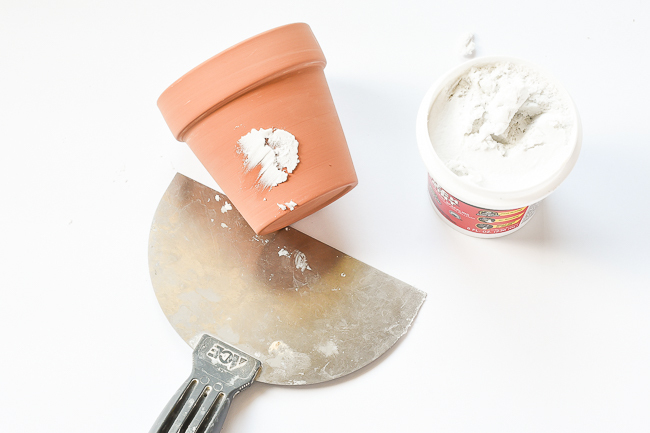 Apply a generous amount of spackling to random parts of your pot. 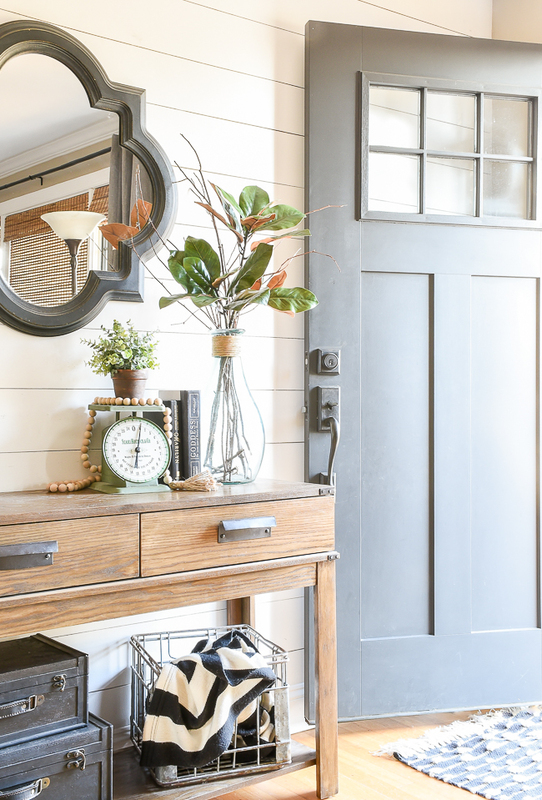 This doesn't have to be perfect. 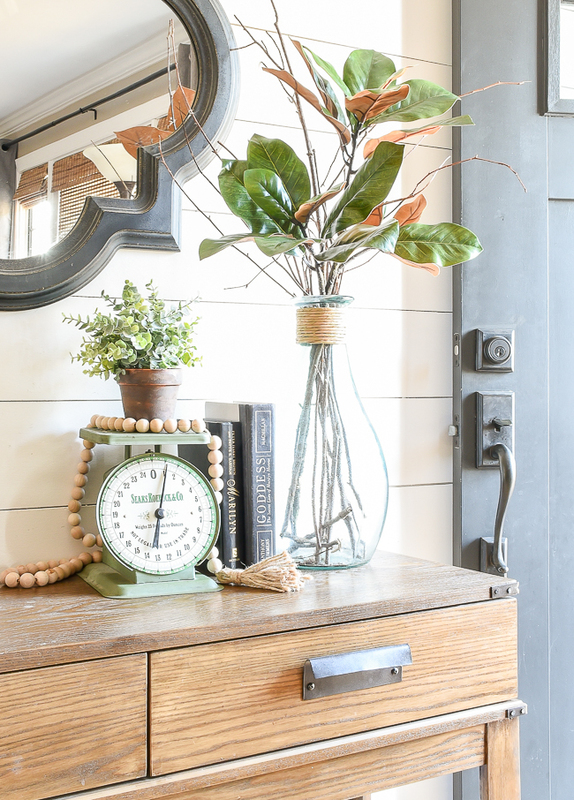 Just clump it on and let the spackling almost dry before sanding. 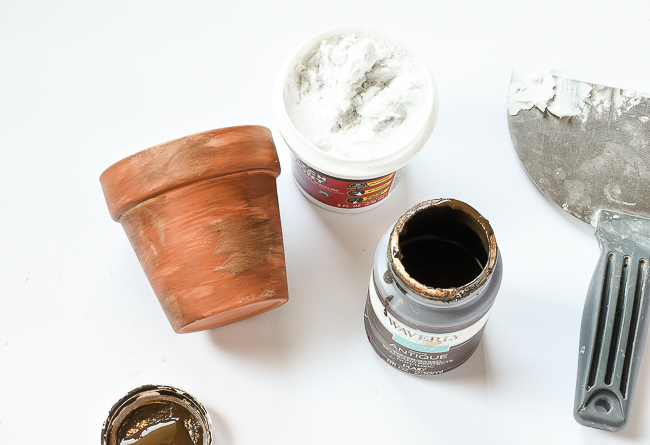 Remember, you are aiming for a distressed textured look, so don't go crazy and sand too much. 2. 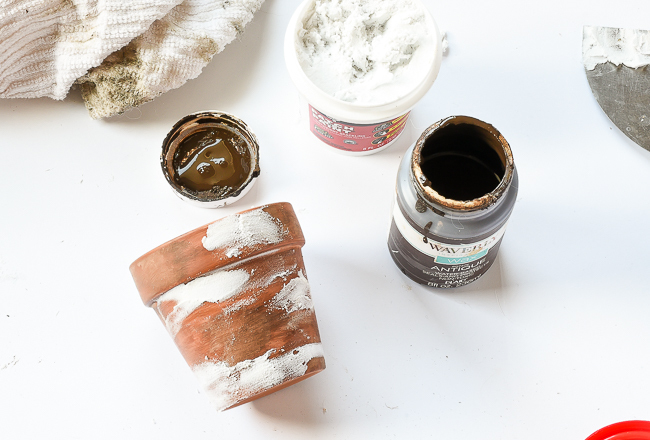 Using a cotton rag, apply antique wax over the entire pot. 3. Repeat steps one and two until you are happy with the coverage. 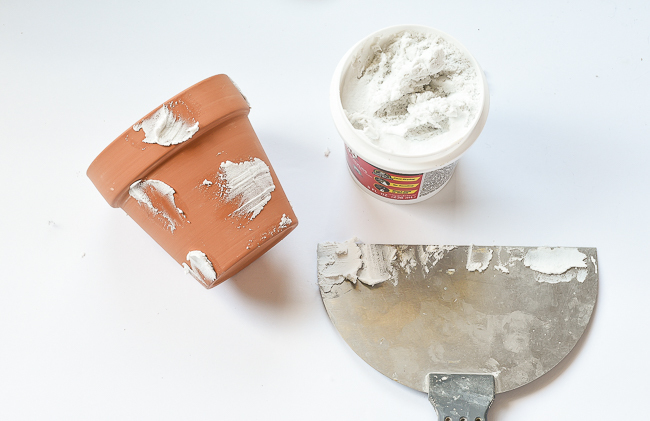 If you want a more dramatic distressed look, rub your fingers over the pot to remove some of the spackling and wax before it completely dries. 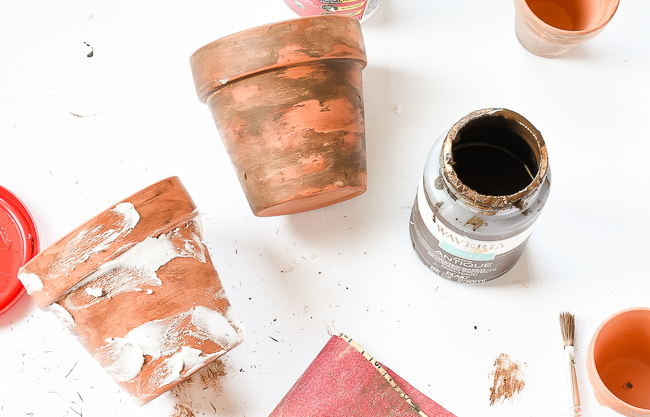 Otherwise, just let your pot dry to reveal and nice textured "aged" look. 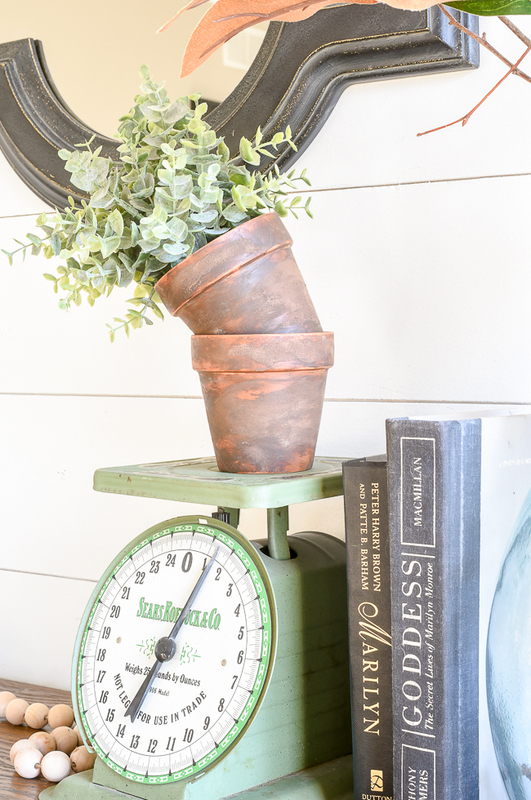 You can fill these adorable aged pots with faux greenery, a fresh plant or simply keep them empty. 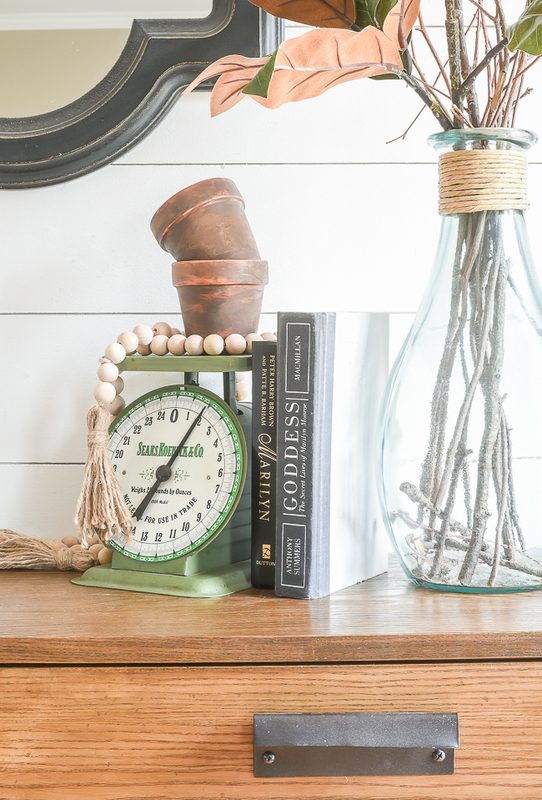 Either way, they can make a great addition to your rustic farmhouse decor. 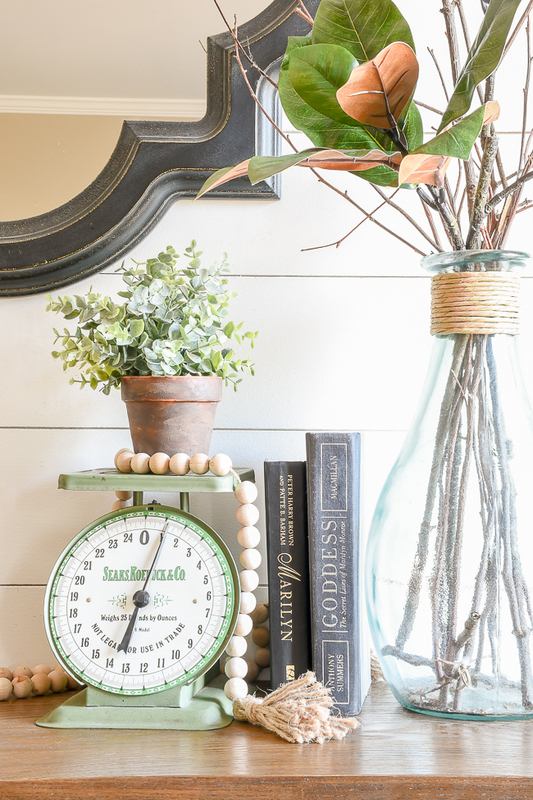 I just love all the texture the spackling adds and the antique wax gives them the perfect aged look. Don't you agree? What do you think? 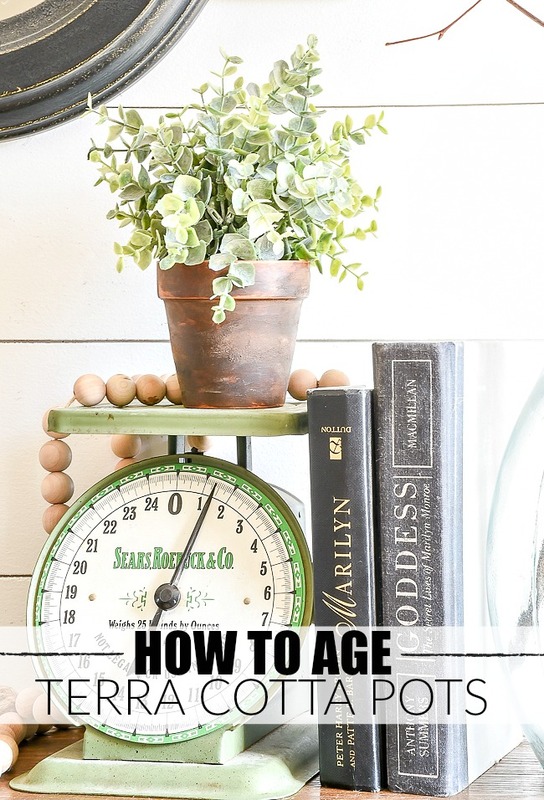 Are you going to run out to Dollar Tree and pick up some terra cotta pots to update and age yourself? 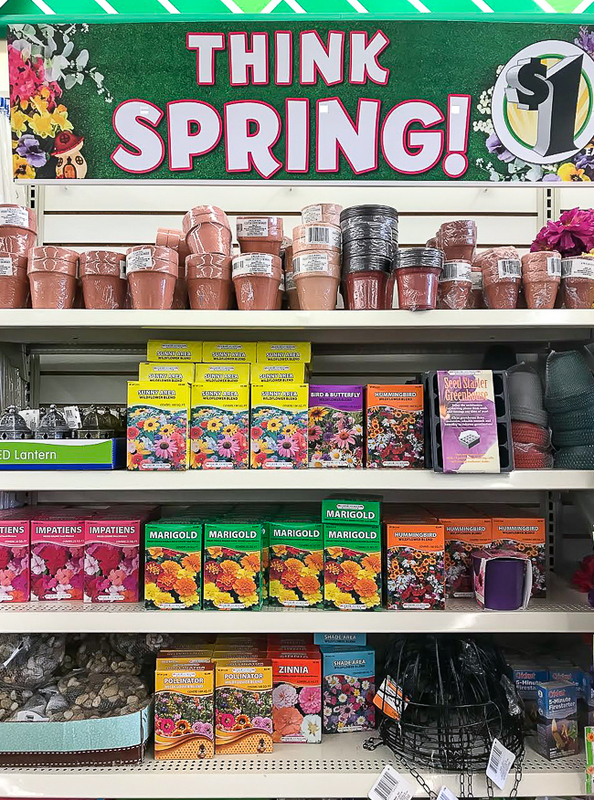 While you're at it, Dollar Tree also has their carrot jump ropes and metal planters in stock that you may want to pick up too. Disclosure: I am in no way affiliated with or compensated by Dollar Tree. 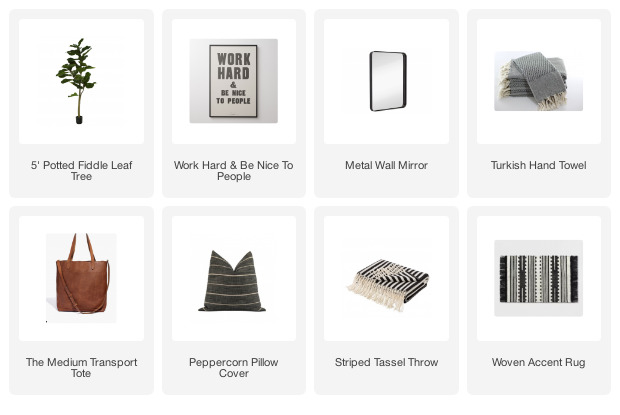 I simply like the challenge of taking dollar items and updating them into stylish home decor.